Microsoft SharePoint is an amazing tool for collaboration and information sharing. At AIS, we make extensive use of SharePoint portals to serve up a variety of informational goodies. 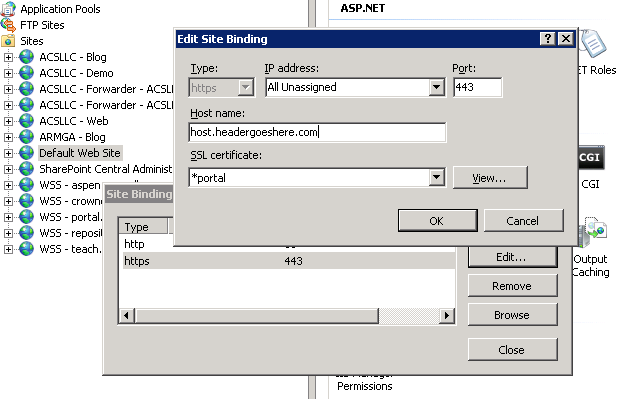 Using Host Headers in IIS, implementing SharePoint Web Applications on a single IIS server using a single IP is a trivial mater. 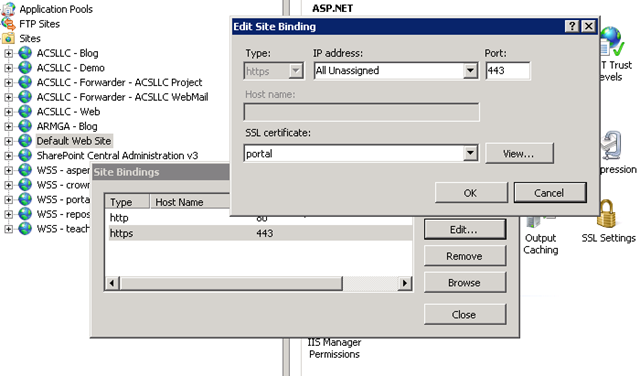 So trivial that the SharePoint Application Management wizard sets it all up for you! For secure data, such as payroll, most companies will start thinking about SSL to encrypt the data between the server and the browser. And so begins the trouble. IIS, by default, only supports binding of an SSL certificate to ONE SharePoint web application (or any website on the server). Under default conditions, you must choose between securing the payroll or the secure site using SSL. You cannot bind the SSL certificates to both. Of course, there are several well documented methods for binding SSL certificate(s) to multiple host headers. The problem is they require using the arcane command line function appcmd. Doable, but not trivial. Fear not, there is an easier way! 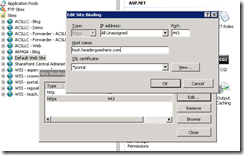 IIS 7 supports what appears to be an undocumented feature for SSL and Host Headers. You simply preface the SSL certificate’s friendly name with an asterisk. Select Computer Account when prompt for which certificates the snap-in will manager. This entry was posted in SharePoint, Solutions on June 19, 2010 by ArmgaSys.